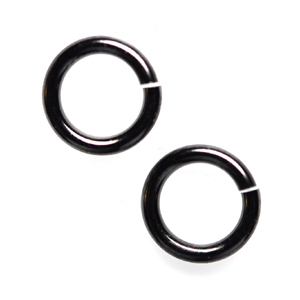 Snapeez 10mm Blackjack, Black Nickel, Snapping Jump rings. Heavy, open jump ring. 10 pieces. Discontinued. Closeout prices.